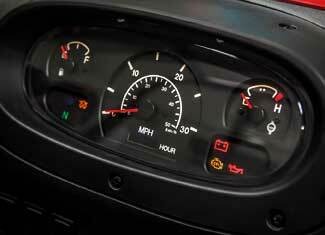 The sleek design and automotive like finish gives the MECHRON® a strong and dynamic look. 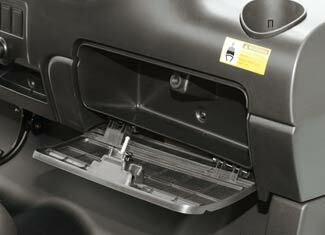 With the widest cargo bed in its class and a 1,102 lbs. 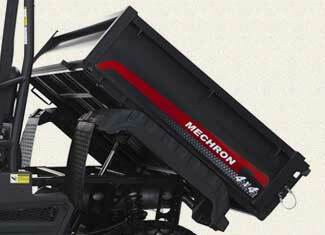 (500 kg) load capacity, the MECHRON® provides excellent payload capabilities. 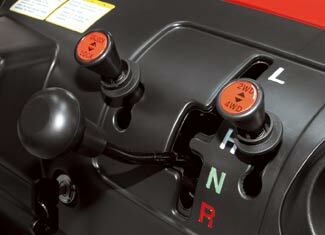 Add the optional hydraulic dump kit and you can easily place any load where you want it. 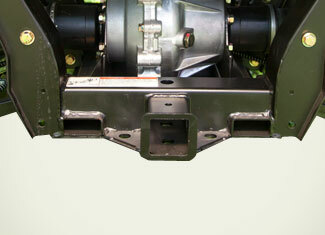 With the 2-inch rear hitch receiver you can attach and pull trailers as well as implements that are receiver equipped. 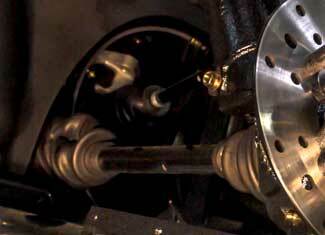 Rear hitch comes standard. 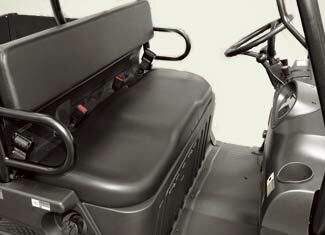 The contoured bench seat is the widest in its class and seats three comfortably. Three seat belts come standard. 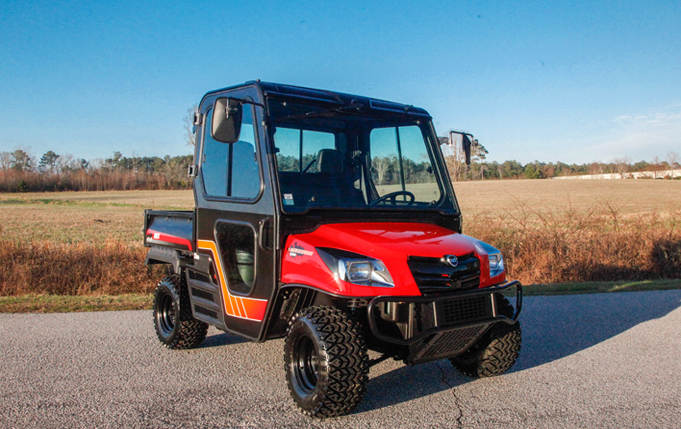 Limited slip differential on the front, mechanically actuated differential for the rear and standard four-wheel drive allow the MECHRON® to pull heavy loads and handle the most rugged terrain. 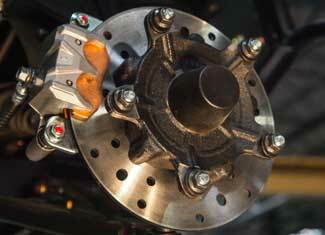 The adjustable wishbone type suspension allows you to fine tune the MECHRON® to fit your specific needs. 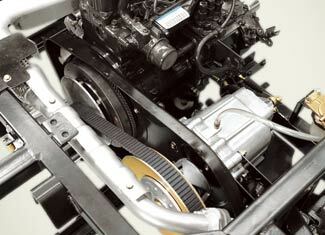 The MECHRON® uses a continuously variable transmission (CVT) and has a time proven Daedong gearbox with 2 speeds (Hi/Lo) and 4WD. Features an open dash storage area on the driver side and a closed dash storage area with a waterproof lid on the passenger side. Long lasting front and rear hydraulic disc brakes with a mechanical parking brake provide excellent performance and enhanced safety. 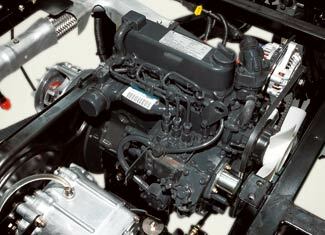 The Daedong 22 hp (16.4 kW) diesel engine has been field proven for durability and dependability while offering improved fuel economy. 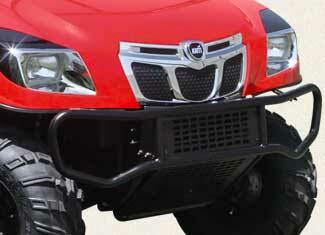 The heavy-duty steel brush guard offers protection for the headlights, radiator and front differential from rocks, tough brush and other debris on the trail. 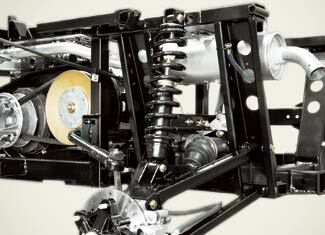 An optional front mounted winch allows for greater versatility when it comes to tough jobs and difficult terrain. 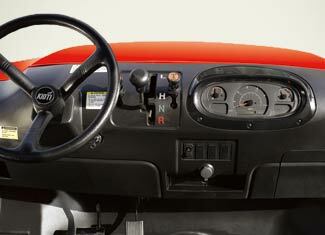 A cockpit-designed dash features ergonomically located controls and instruments that allow the driver to view critical functions at a glance. 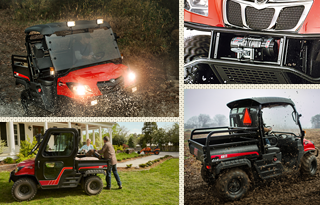 True hydraulic-assisted rack & pinion power steering comes standard on the 2200PS delivering smooth and responsive handling. 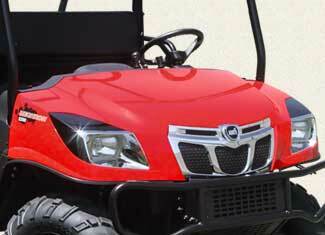 Larger 12-inch wheels and 25-inch tires provide a smooth ride and 12 inches of ground clearance. 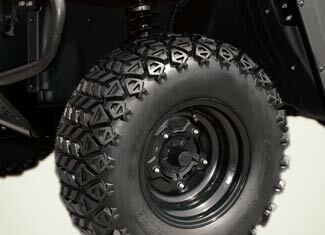 Three tire options are available including Heavy Duty worksite, Turf and ATV tires. 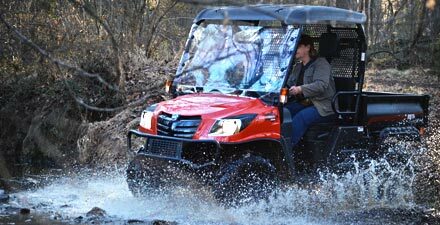 DurableKIOTI UTV Implements give you the power to do even more with your utility vehicle. Tilling, dragging, spreading, fencing, whatever the task, these implements will help you get it done more effectively and efficiently than ever before.